If you’re attending the sure-to-be spectacular the AIA Great European Carnival that’ll take place in Hong Kong’s Central Harbourfront, then you might want to know that the amusement park will host a sensational new show filled with never before seen acts that’ll surely make your visit even sweeter. Book through Klook and avail of tickets that’ll not only get you to enter the amusement park but also get you to watch the fantastic Great Circus of Europe! It’s incredible and diverse cast of entertainers will deliver breathtaking and mind-boggling performances filled with grace, beauty, and mystery! 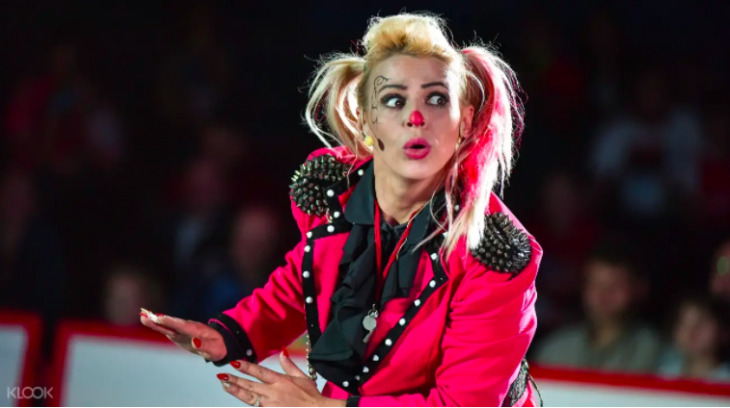 You’ll be able to see Andreea, one of the world’s few female clowns. Another act to watch out for is the aerial cradle, where you’ll see Cuban artists incorporate hypnotic salsa rhythms with their casting and catching set. All throughout, you’ll surely have a wonderful time with your family. Take the MTR to Central or Hong Kong Station. If you depart from Central Station, leave from Exit A. If you depart from Hong Kong Station, depart from Exit A2. The Event Space is a 10-minute walk away from both stations.